is in fact part of Edinburgh Waverley Station Car Park. 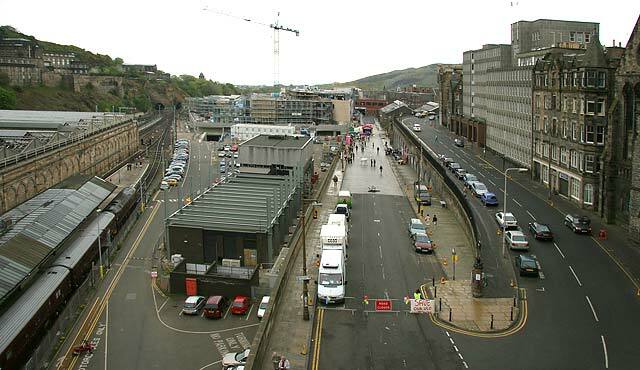 East Market Street is in the centre, leading to New Street. Jeffrey Street is on the right.